For many of us, the ocean has an inexplicable pull. It restores us and it heals us. To sink below the surface of the ocean is to let go of everything that lies above it – anxiety and stress seem to melt away and are replaced with feelings of contentment and calmness. Filmmaker Danielle Ryan knows this magical feeling well. As a child, Danielle felt like she was standing on the edge of the world whenever she looked out to sea. Driven by a thirst to explore the unknown, she questioned what was hiding in that vast expanse of blue. To Danielle, the wide-open ocean seemed wild, free and untamable – something humans could never conquer. As Danielle got older, the childlike wonder for the ocean remained. But it was joined by an understanding of the fragility of this ecosystem. In just forty years, half of the marine life inhabiting the oceans has completely disappeared. Once you learn about an issue that impacts something you love, it's hard to sit back and ignore it. Danielle not only became obsessed with the issues facing the marine environment, but empowered to act on them. Once a pipedream, Danielle is now one-half of 'Blue Bottle Films', a video and documentary production team that specialise in telling the stories of the natural world. Danielle has directed and produced films for WWF and The Wilderness Society, travelling the globe to give nature a voice. This year, Blue Bottle Films is embarking on their biggest journey yet - a feature length film about the quest to save our oceans. We caught up with Danielle to discuss the triumphs and setbacks she faces as an environmental filmmaker, the importance of persistence and what's next for Blue Bottle Films. 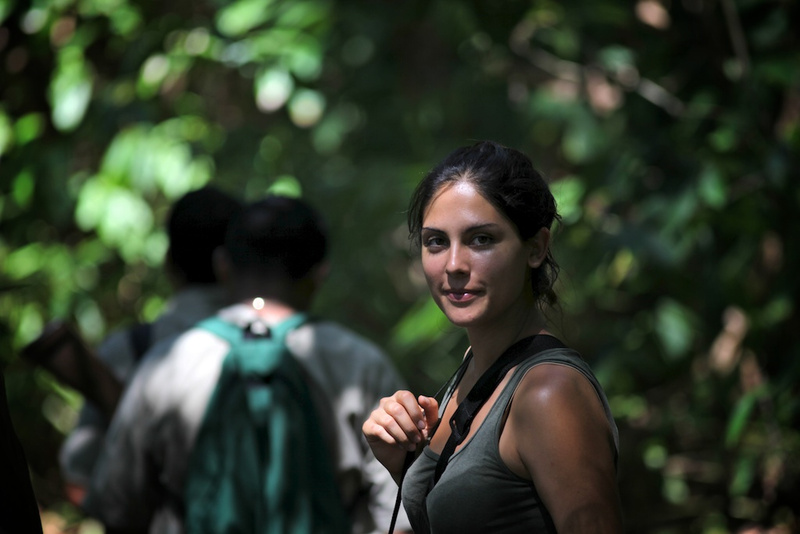 [Image Caption] Danielle in Corcovado National Park, where she was producing a documentary on poaching in the area. Image by James Sherwood. I loved the creative arts as a kid. I studied drama and art. My first taste of professional office life was during year 10 when I did work experience with a production company on documentary about the opera. I liked the idea of combining the arts with fact and reality through documentary-making, but I also knew that film and the arts was expensive, competitive, and risky - and therefore a very intimidating thing to do. However, I gave studying the creative arts a go at university, because it was what I loved, (but to tell you the truth, I didn't know where I was going with it). I never thought I'd be lucky enough to get to pursue a career I really enjoyed doing. By then, my interests had become focused on publishing or journalism, because words are free whereas film equipment costs money. However, I also braced myself, because I knew how tough the industry was. I was prepared to do any job once I graduated. But, I still tried to get into the arts. I did work experience with an editor. I saw people like him struggle; he lost his studio when technology suddenly made film cheap. I thought my boyfriend, who worked in the film and television industry was crazy, because it was stressful and life consuming. So, I ended up moving away from the arts for a time. The idea of working in the industry I wanted to seemed like a pipe dream. My work life became a way of exploring how the world worked, understanding how different organisations and people functioned (from government, media, NGOs, and business). But, who was I kidding? I couldn't sit still. I got another taste for the news, the moving image, and life as a freelancer with the Channel Nine Network, and that is when I knew I had to keep trying to do what I wanted to do, despite how hard the industry is. Like many people, I struggled with many rejections in the industry, but I learned to block that out. I guess 'becoming a filmmaker' was a combination of a constant obsession of just creating films, until one day people took notice and we started getting paid. What I do now is abstract, it keeps me on my toes. I do wish that there was more funding and a 'warm hearted' culture of support in the arts, so others don't have to struggle as much as I have. [Image Caption] Image by James Sherwood. When we are out in the field on our own, we usually get up early, make use of every moment of the day and work until sunset, and then go back to our room and manage media. However, hanging out in nature sadly isn't my average day! Do you ever feel overwhelmed by the findings of your job, and how do you overcome these feelings to stay inspired and motivated? Yes. Seeing things like the mass mangrove bleaching in the Gulf of Carpentaria, feeling like to your standing alone in an apocalypse with everything dead around you, wondering how the world could of got to this point, is horrifying. We always talk about saving the planet for the next generation, but you and I are that 'next generation.' I do believe that most people deal with what is happening in two ways 1) we ignore it, or 2) we develop feelings of anxiety, and each of us deal with those feelings as best as we can. "We always talk about saving the planet for the next generation, but you and I are that 'next generation.'" 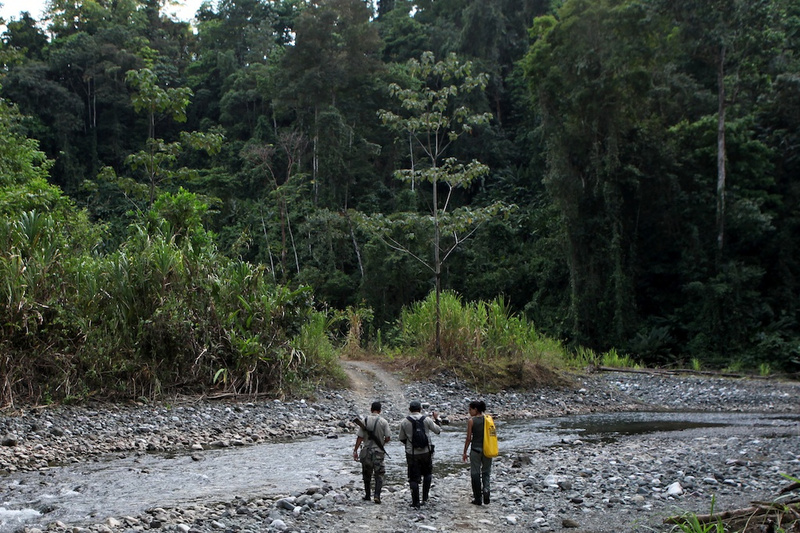 [Image Caption] Danielle walking in Corcovado National Park with rangers. Danielle was producing a short documentary on poaching in the area. Image by James Sherwood. For me, how do I deal with it? I take that feeling of frustration and turn that energy into something positive. I've learned to do that from my mother, because it is what she does. She has done some extraordinary things (as a pioneer in environmental law in Australia) despite the odds stacked against her. She has told me about how clients used to walk out of the office when she first started law, refusing to work with her, because she was 'female', but she stuck at it. "I know that many studies show that we need more women to get involved in decision-making processes over the environment if we want things to get better. Women do make different decisions to men, because we have different needs and desires." So, she's taught me about the importance of not giving up - just think how much life has changed since her time? I think mum's story is important to think about when it comes to motivation. I know that many studies show that we need more women to get involved in decision-making processes over the environment if we want things to get better. Women do make different decisions to men, because we have different needs and desires. The fact that women still haven't had a 'real go' when it comes to global leadership over our natural resources, certainly keeps me motivated. It actually makes me excited to think that there are many 1 Million Women members out there, who will be a part of this coming change. They will be an inspiration to us all. In your opinion what is the biggest issue the ocean faces, and how can we begin to tackle it? 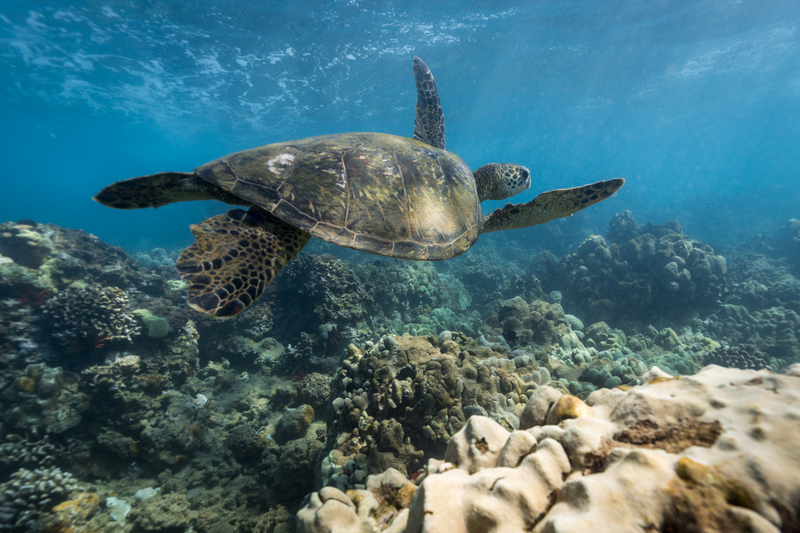 We must take every issue the ocean faces seriously whether it is climate change, overfishing, wildlife poaching, run off, or plastic pollution. 3) And, greater diversity of boards and political leadership, because these groups have the power to make all sorts of important decisions. And, when it comes to more direct action, I think we should take a holistic approach to managing the ocean and the multiple pressures it is facing. It is a public resource, yet it is often treated as the Wild West and a free resource. I believe that conversation starts in the heart of communities on the value of marine protected areas, getting people to ask questions around how we create rules to manage parts of the ocean that have never been properly cared for before. We are trying to do this with SO Manly. 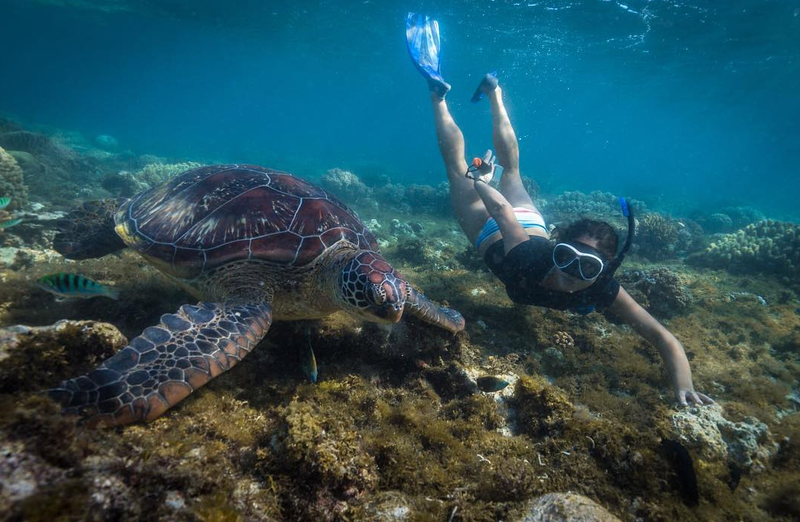 [Image Caption] Danielle swimming alongside a sea turtle. Image by James Sherwood. What's next for you in 2017? Kickstarter just selected our ocean feature film, The Map to Paradise, as a 'Project We Love' (and we are grateful that 1 Million Women's Co-CEO Tara Hunt is one of our backers!). So, we are hoping that in early 2017 we will secure enough funds to keep filming. What is the film about? It's about the birth of the marine protected area movement and the quest to save our oceans. We want to take people on a journey to discover what an 'underwater paradise' might look like if we choose to care for our oceans properly, and to show people that dreams do come true. "We know what it is like to feel anxious about the way the world is going, so that is why we want to make sure that people feel and believe that it is possible to save our planet." We know what it is like to feel anxious about the way the world is going, so that is why we want to make sure that people feel and believe that it is possible to save our planet. For example, we are set to film Prince Albert II in mid-2017. 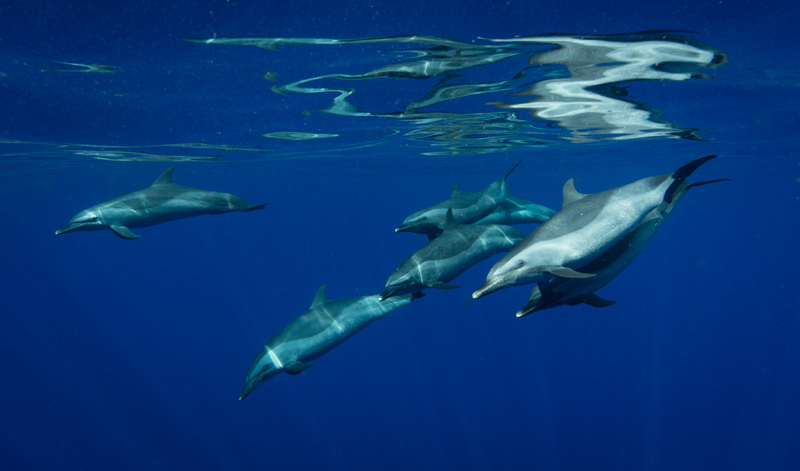 It was his father who helped a passionate marine scientist from Italy to create an international marine sanctuary in the Mediterranean as a way to protect dolphins from being slaughtered back in the 90s. More than ever I think people need to see what good leaderships is about, and to inspire other global leaders around the world to do the right thing, including here at home - just remember when you were little and you believed in fairy tales, and that good always trumped bad? I really want to tap into that fable-like ending, and show that 'fairy tale endings' are possible in reality too. You can support Blue Bottle Films upcoming feature film on Kickstarter here.